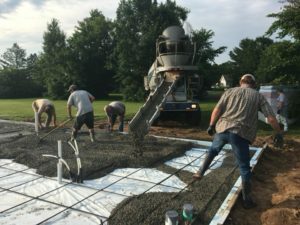 We began building at 1700 Margaret Ave. in Barron in June of 2018. We hope to complete the project sometime in September. Contact us if you want to volunteer with the project. We want to thank so many people and groups for their help with this house build. Mt. 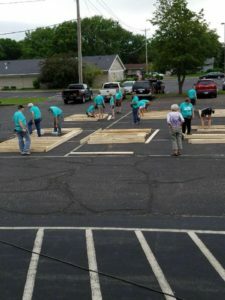 Zion Lutheran Church began work at their church parking lot building the walls off-site. 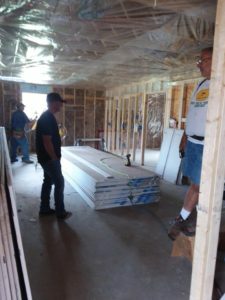 Then, at the beginning of June they sent a crew of over 30 to frame the house and begin siding and shingling. First Lutheran Church in Barron hosted the group from Mt. Zion Lutheran and provided many meals. Mt. 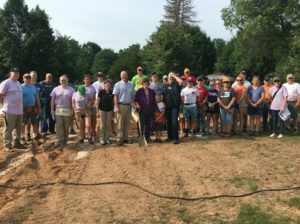 Zion Lutheran Church not only paid for much of the lumber for the house, they gifted Barron County Habitat for Humanity a sizable check to help us with our continued work. United Presbyterian Church gave $1000 at our Hoedown fundraiser. They also provided a meal for Mt. 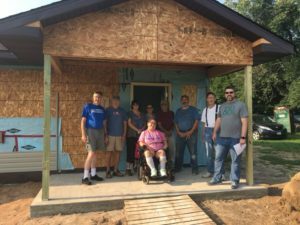 Zion Lutheran Church and sent a crew in August to paint and work on other projects at the house. Before all the work began, Eric Stanford volunteered his time drawing the floor plans. Barron Electric Cooperative sent a couple of volunteers in July. There are so many individuals and groups to thank in this process! We are grateful to Joel Palmquist who works as our construction manager. He has put in many tireless hours and gives direction to our volunteers. We are thankful for Fred Buth for the many times he volunteered. Thank you to the contractors who have worked hard and often at discounted prices. These include: Reese Construction, Huber Electric, Affordable Heating Solutions, and Pete’s Plumbing. We are thankful for Cindy Slayton, future homeowner, and her many family members that have helped at the house. I know I am missing people that have helped, but I am so grateful for everyone! Contact us if you want to help by volunteering! 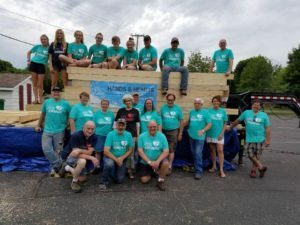 We want to thank the following companies for their in-kind donations to this project as well: Kohler®, Whirlpool Corporation, Valspar Paint, and DOW. Blain’s Farm and Fleet tints our paint as a donation. Amundson’s donated a range hood. Here is a picture from the ground-breaking ceremony in Barron.